Lack of adhesion, dust, fish eyes and other problems on coated surfaces are usually the result of problems in the compressed air supply. These mistakes are expensive. They can be avoided with 100% technically clean air. 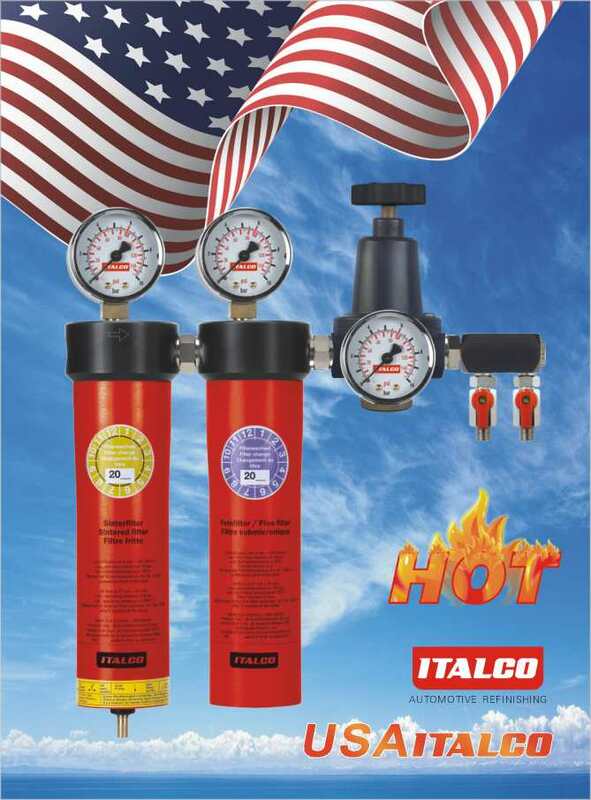 ITALCO offers the solution with a high quality, durable filter system. 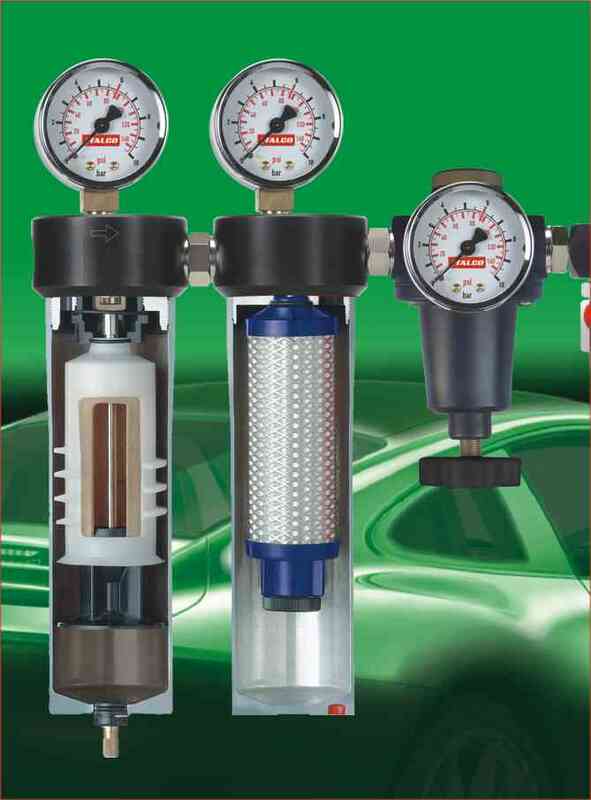 Compressed air requirements are not always as high as required in the body shop. As a result, ITALCO filters are designed as a modular system so units can be specifically combined to meet any requirement. Our knowledgeable distributors and dealers will be happy to provide advice. Please use the ITALCO air quality test kit to evaluate compressed air quality. Helpful tips can also be found in the compressed air adviser. You can fill any need from our product line: from oil and water separator with particle filter to the fine filter, from the activated charcoal filter to the super fine filter.